iOS 8.2 beta 5 is available via Software Update in the iPhone's native Settings application, or via the iOS Developer Center website. 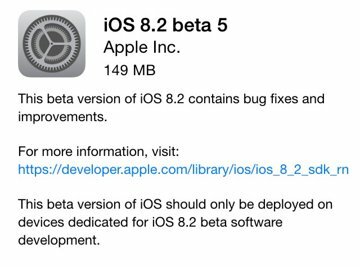 As always, Apple has cautioned that the test software should only be deployed on devices dedicated for iOS 8.2 beta software development. In addition, Xcode 6.2 beta 5 is also available to download. The release comes just a few weeks after iOS 8.2 beta 4 was provided to developers in mid-January. The highly anticipated iOS 8.2 update should be available to consumers at some point before the Apple Watch debuts in April. iOS 8.2 will be required to unlock connectivity with the Apple Watch, which requires being tethered to an iPhone for basic functionality such as support for third-party apps. 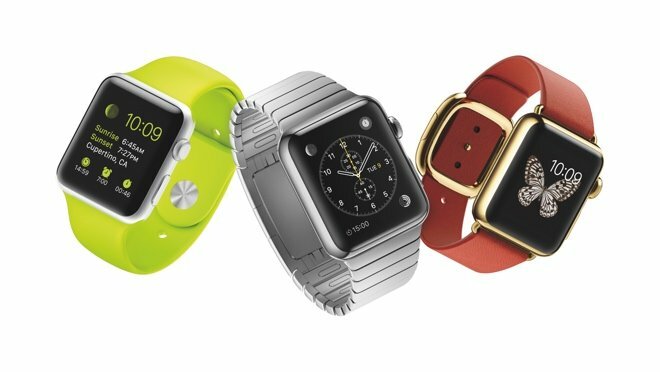 The first iOS 8.2 beta debuted WatchKit support in mid-November, giving developers their first crack at creating applications for the forthcoming Apple Watch. Developers can create custom third-party applications, Glances, and actionable notifications for the upcoming hardware, set to hit the market in early 2015.